How does the new TSS visa work if I want to sponsor an overseas person to work in my business or I am a visa applicant and want my employer to sponsor me? Temporary Skill Shortage (TSS) visa, subclass 482, allows employers to sponsor overseas staff to be employed by them. Medium-Long term stream: a visa of up to four years can be granted. There is an option for the visa applicant to be sponsored for permanent residency after three years. All the above 3 are separate applications and have specific criteria that needs to be met. Whether you are an employer or visa applicant, please contact us and we can discuss how the TSS can apply in your situation. What if I have a subclass 482 or 457 visa and I want to change companies? It is a condition of both the 482 and 457 visas that the visa holder can only work for the employer that sponsors them – which means that a visa holder cannot change employers unless another Australian business lodges a new nomination to link their visa to them. In addition, 482 or 457 visa holders cannot work for another employer on the side or part time. In order to switch employers, the new potential employer must lodge a new nomination with the Department of Home Affairs. The new sponsor must apply to be approved as a Standard Business Sponsor if not already approved as one. Only once the sponsorship and nomination are approved, can the visa holder commence working for the new sponsor. The new nomination must be in the same occupation as what the visa holder was approved as when their visa was approved. The visa holder can be employed for their new sponsor for the remaining time left on their visa. Can I add my partner and / or child to my already approved 482 or 457 visa? To do this, the visa holder will need to provide evidence that they are in a genuine relationship with their partner, even if married. If in a de-facto relationship this is taken to mean that they are living together under the same roof as a couple for around 6 months at least. The employer must also agree in writing to meet their sponsorship obligations towards the secondary applicants. ​The subsequent dependant applicants will be granted a visa for the same period as the 457 or 482 visa holder. Can my spouse work on a subclass 482 or 457 visa? The spouse of a 457 or 482 visa holder has unrestricted work rights – providing they are included in the application or are subsequently added into the application. Can my sponsor cancel my visa? Your sponsor can inform the Department of Home Affairs once your employment ceases and that they no longer wish to sponsor you. The Department of Home Affairs will grant 60 days to find a new sponsor or lodge a new visa application, which can be a different subclass of visa such as a student or partner visa. Your sponsor has not got the authority to cancel your visa, only the Department of Home Affairs can do that and it goes through a process so you will be made aware that it is going to happen unless you take some action such as lodge another visa or leave Australia. Resident Return visa – what are my options? You are required to apply for an RRV (Resident Return visa) if your permanent visa is about to expire and you intend to depart Australia. If you’ve been living in Australia for at least two years (this can be accumulative) in the last five years prior to lodging your visa, you will be granted a new five-year block of time so you can continue with your permanent residence visa. 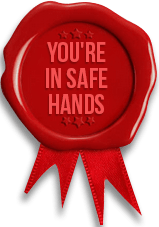 If you have been living in Australia for less than two years in the last five years prior to the date of your RRV application, you may be eligible for a one-year RRV. To be eligible, you would need to present evidence of your ties to Australia, such as employment, family or business commitments. If you live in Australia and your permanent residence visa expires, your status will automatically carry over – meaning you will continue to have permanent resident visa status. If you then wish to travel outside Australia, you will need to apply for a RRV, which will enable you to return using your current visa. Can I apply for a Bridging visa? A bridging visa is granted automatically if an applicant has applied for a visa from a substantive visa and the visa which they have applied from expires but the new one they have applied for has not yet been granted. To keep someone lawfully in Australia while the new visa application is being assessed,that person automatically goes onto a Bridging visa A. If they want to travel outside of Australia while their visa is being assessed, then they need to apply for a Bridging visa B. At all times, a visa holder must avoid being in Australia without a valid visa or a Bridging visa. People who are unlawfully in Australia are placed on a Bridging visa E which requires them to depart Australia immediately. This usually carries a three-year restriction on any temporary visa that allows re-entry into Australia. Where can I see my current visa status? As a visa holder, you can use VEVO to check your current visa details and conditions. An EOI is not a visa application, it is an application that you would like to be invited to apply for skilled visa. It’s an online form, with no fee which asks you a series of questions about how you intend to score your points for a subclass 189, 190 or 489 visa application. It is imperative that your points are calculated accurately so that when a visa application is lodged after being granted an invitation, the points in the visa application are the same as the points claimed in the EOI. An EOI does not result in a bridging visa. I have lodged an EOI. Does that mean I will get an invitation? No, not necessarily. You must obtain a minimum of 65 points to lodge an Expression of Interest. The higher the points, the more likely it is that you will receive an invitation to lodge a visa application. However, depending on the volume of applications with the same occupation received by the Department of Home Affairs, a higher score than 65 may be required to be granted an invitation to lodge a visa application. As an example, accountants may require 75 points or more to be granted an invitation whereas high school teachers may only require 65 points. Many Australians find overseas partners who they wish to spend the rest of their life with, and there is a pathway to obtain a permanent visa based on a genuine relationship with an Australian, permanent resident or eligible NZ citizen. Most partner visas can be lodged in or out of Australia, except for Prospective Partner visas, which must be lodged when the overseas partner is offshore. To lodge a partner visa, the applicant must show that the relationship is genuine and mutually exclusive. This visa can be based on a marriage, de-facto relationship of living together for 12 months under the same roof, or de-facto of less than 12 months of living together and registering their relationship with the Registry Office of their State/Territory in Australia. Please note that not all States and Territories have a facility for relationship registration. A partner visa is a two-stage application. In the first stage, a provisional visa is granted. After two years from lodgment of the provisional visa, the provisional visa holder can apply for a permanent visa. It is important to check if upor overseas partner has an 8503 condition on their visa, as this condition would prevent them from lodging another visa onshore. I’m currently on a temporary partner visa subclass 820. The relationship with my partner has ended. Do I have to leave Australia? Generally, yes –unless you can demonstrate special circumstances as to why you should be granted the visa. Special circumstances include: sharing parental responsibility, if your partner has died, or you have been the victim of domestic violence. The other option is to consider lodging another visa such as an employer sponsorship visa or student visa. I want to apply for permanent residence based on Employer Nominated Sponsorship –what are the overall pathways? There are two application pathways for this category. Once 457 visa holders have been employed for two years or three years for 482 visa holders, with the same employer they can apply for PR. Applicants holding a 457 visa can apply up to, but before reaching 50 years old. The occupation that the business will nominate you has to be on the MLTSSL list of occupations. The 186-visa applicant must complete a Skills Assessment from the assessing authority of that occupation and demonstrate that you have had a minimum of three years’ experience in that occupation. Applicants need to be under 45 years old at time of application. In both Pathway One and Two the employer has to present a range of documents to meet the requirements of the nomination. These include financial documents, position description, employment contract, organization chart, statement about why the position is genuine, evidence that the salary is market related etc. The applications are complex …. please contact us if you would like to explore this further. 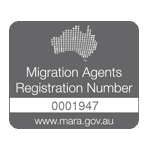 I want to apply for Permanent residence based on the Regional Sponsored Migration Scheme (RSMS) – what are the pathways I can do this? If your employer is based in a Regional area of Australia you may be able to apply for RSMS. Regional Areas are defined by postcodes. You have been employed for the same employer in the same occupation in that regional area for two years under a 457or three years under a 482 visa. If you have not been employed for two years with same regional employer under a subclass 457 visa or three years under a 482 visa, your employer needs to lodge an application for certification to the Regional Certifying Body (RCB) in that regional area before lodging a nomination to the Department of Home Affairs. The RCB needs to approve the certification before the Department of Home Affairs will approve the nomination. The requirements of the RCB and Department of Home Affairs do have some common criteria but also there are some differences. The RCB, for example, requires that the employer needs to demonstrate that they have carried out Labour Market Testing (LMT). You need to have had 3 years of relevant experience in any occupation on the MLTSSL List or the Regional Occupation List (ROL) which could have been gained anywhere in the world. In trade related occupations an applicant would need a skills assessment if they did not complete their trade qualifications in Australia. Applicants need to be under 45 years old at time of application.